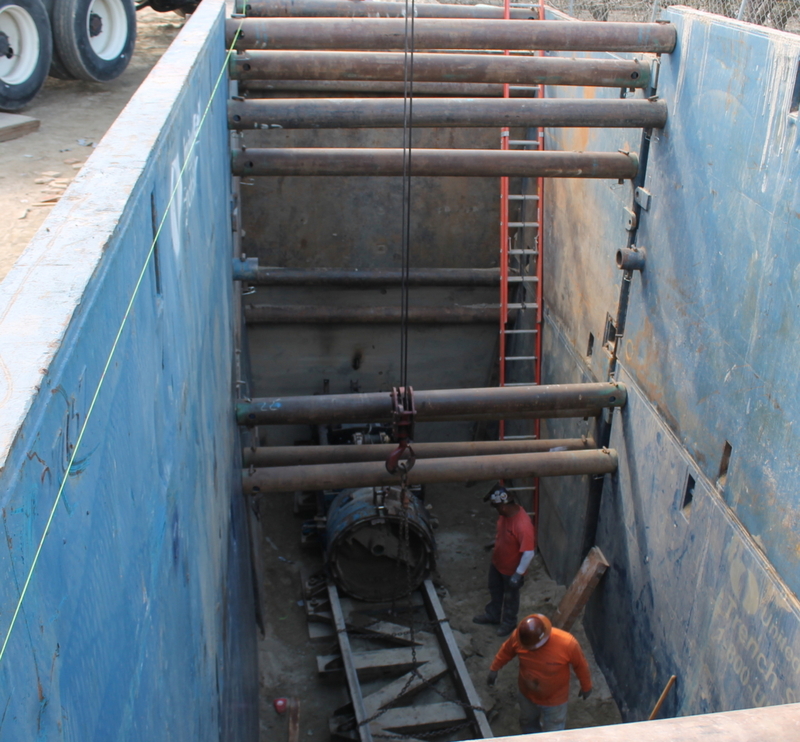 Del Norte Sewer Trunk – Yamabe & Horn Engineering, Inc.
As Kerman has expanded under Yamabe & Horn’s role as City Engineer, the Del Norte Sewer Trunk was an obvious candidate for expansion to increase capacity following the City Master Plan. The project added a parallel trunk 2,500 feet in length with a 24” diameter sewer main. It crossed Union Pacific Railroad, requiring a license from the railroad to cross their right of way. The complexities of satisfying Union Pacific can be cumbersome, even more so than many of Yamabe & Horn’s projects with Caltrans, given the many requirements placed not only on the City, but also the contractors. Yamabe & Horn were able to satisfy the railroad and obtain a license to cross their ROW and completed the 110 feet of sewer main with jack & bore installation to prevent interruption of the active rail. The sewer main was surrounded by a 30-inch steel casing to provide additional security should the main ever fail underneath the railroad ROW.